Digital India is the new buzzword these days and everyone is trying to harp on the popularity that anything associated with digital is getting. Though Digital India is a very big project undertaken by the government as an umbrella idea spanning across multiple sectors with an aim of digitizing processes and information at large. Processes include applications for various government schemes, citizen interaction, while the latest being Demotization and information for the purpose of ease and access. When we are talking about Digital India, how can we not talk about Digital Marketing? I am sure you must have heard about Digital Marketing somewhere or the other. Social Media Marketing? Website Traffic? Advertisements? Online Sales? Digital Startup? These terms sound familiar? Yes! These all are a part of Digital Marketing. Digital Marketing, currently, is a very growing field of marketing, 30% growth in the last year, allowing one to reach mass audience, niche audience, targeted audience, engaged audience all at the same time and all this within a few clicks. All you need to do is, define and get an idea of whom you want to market your product or services to and you will find that audience online. Though the audience size cannot be compared to other popular mediums like television yet, but in terms of the attention span that it receives, the one to one engagement that if offers is the most highest as of today. I recently read a book on Digital Marketing, titled Digital Marketing Insights 2017 compiled by Social Beat and published by Notion Press. The book covers multiple important topics in Digital Marketing like current trends in social media, marketing mix insights, effective use of social media platforms, a guide on digital media advertisements, UX and Web Design, Video and App Marketing and the most important and the need of the hour, Content Marketing and Advertising. Digital Marketing Insights 2017 starts with an apt introduction to the book and the digital marketing trends and what to expect in the year 2017. The upcoming trends that are being discussed are Mobile UX, regional Indian languages, videos, virtual reality. These topics may sound generic but the authors have added value by emphasizing on the need and importance of the same. There is also a detailed section on what drives Facebook reach and engagement, ad placements and shopping on Facebook. One of the interesting topics that I read was about micro-targeting. The book further talks about the latest buzz word in Digital Marketing which is Influencer outreach and marketing. It includes a detailed section on how to identify them, engage with them and why a dedicated team would be needed to handle it. Social Beat’s Digital Marketing Industry Report 2016 is an amazing read which is followed by Marketing Mix insights comparing print versus digital and their effective return on investments. 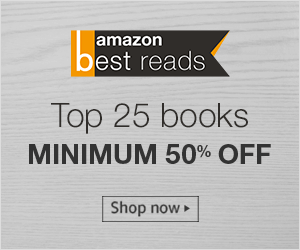 E-commerce and Advertising are two highly focused sections of the book, the nitty-gritties of these are presented along with the working methods. The book, Digital Marketing Insights 2017, can be a guide to someone just venturing into Digital Marketing or to a business owner who is exploring the medium to use on their own. The multiple sections that pop in between with step by step executions are very helpful. Facebook Live, Instagram Stories, Pinterest Boards, Snapchat, you name it and you have it. One of the most helpful sections of the book would be on LinkedIn, which is still an underutilized platform of marketing by companies owing to various concerns, but it should be definitely given a try. UX and Design these days are as important as the content itself, if our communication is not designed effectively after analyzing and understanding the target audience, the chances of failure will be very high and thus it is not only the branding and communication that needs to be effective, but also the user experience and design. With info-graphics being used and accepted widely, it is one of the most effective ways to design a long form communication or story. Content Marketing, the prominent requirement of any digital marketing initiative, is game on point with SEO, forms of content marketing, native advertising, the metrics to look after and how to make it effective. 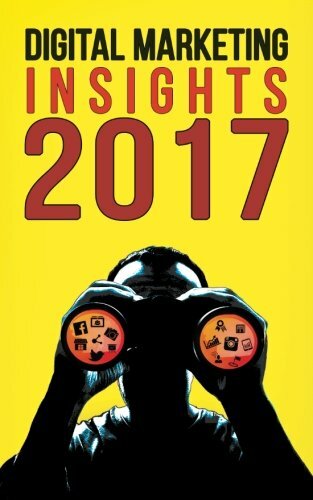 Digital Marketing Insights 2017 is an interesting, engaging, must read book for people wanting to know about Digital Marketing. It is less of bookish knowledge and digital marketing jargon's and more of information, analysis, the importance and need of whatever is being suggested. What is different in this book are the case studies every now and then, technical specifications, step by step execution guide across advertising, videos, search engine optimization, user experience and interface, social media. The information shared in the book is valuable and useful, the how-to and why-to of key concepts is not only clear but also explained in an uncomplicated manner. What is stopping you from reading the book? Nice blog and nice post.Thanks for sharing.keep updating.Have a look on SME Business Management Consultancy. It’s very awesome blog. It will help to improve my basic to higher level. Thank you for sharing this wonderful site. They don't help you to boost Page Rank, website rankings and have no SEO value. It is a notice for search engine not to count a link. The Nofollow tag can be good for SEO – most webmasters use this tag not to follow untrusted content. ... But it depends on where the link is placed and the quality of it. Are you looking information on how to fund a home based business? Here is what you need to know. From risky business to power couple partnership, discover why couples everywhere are learning the secrets to running a successful business together while deepening their relationship. Find out why couple entrepreneurs are building the lifestyle of their helpful resources and protecting their assets and how you can too, by starting a business, growing your relationship and learning to achieve success together.